i really love a good stripe. i don't think it's possible to own too many striped things, a philosophy i also apply to polka dots. this outfit isn't anything too fancy, but i think it's made a little bit fancier with this fur collar, which seems to add a kind of elegance to anything you wear it with. so who's excited for christmas? i know i am. i'm making all my own christmas cards and wrapping paper this year. i can't wait! 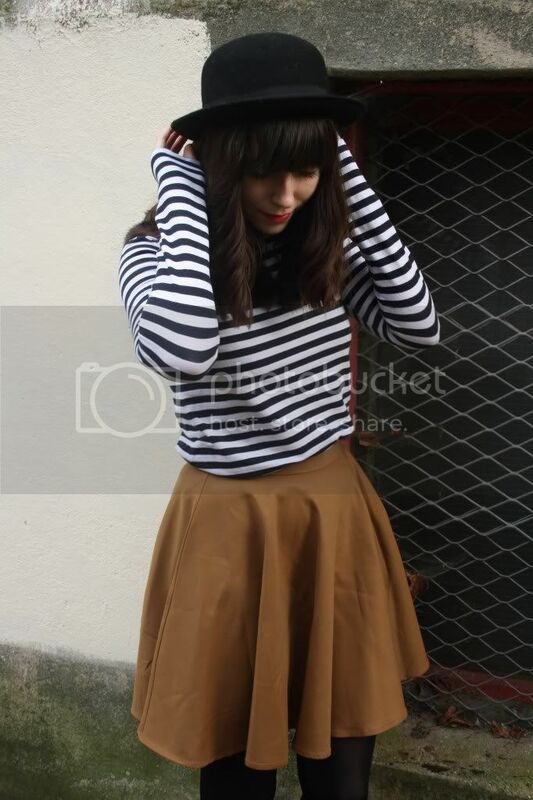 Stripes are the basic essentials in ones wardrobe:) love your skirt! And you're right about the fur collar too. You look lovely in stripes. Tres chic! I'm a big fan of fur collars, specially of the ones of H&M, they're amazing!! 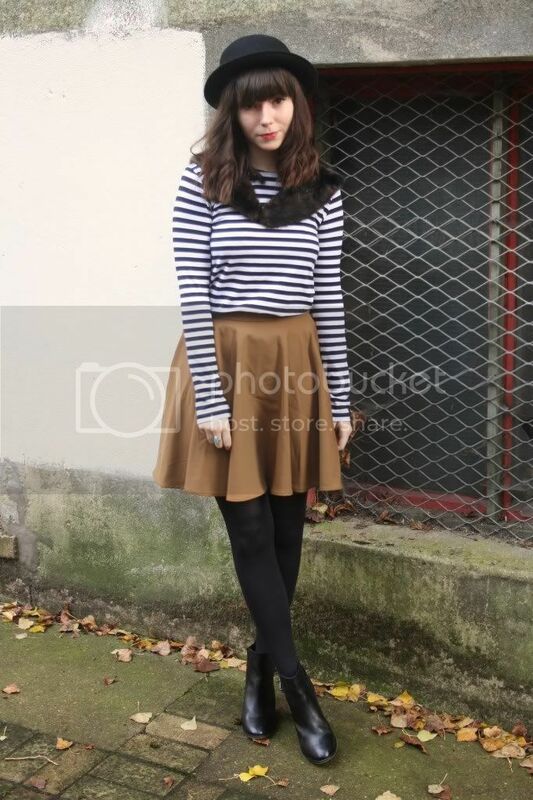 I'm a great fan of stripes too :) The fur collar definitely adds a unique touch to the whole outfit. Love your looks, they are so beautiful and easy to wear at the same time! this is super cute! love the stripes! Aw, the fur collar is so darling! <3 It goes oh-so perfectly with your nautical top! 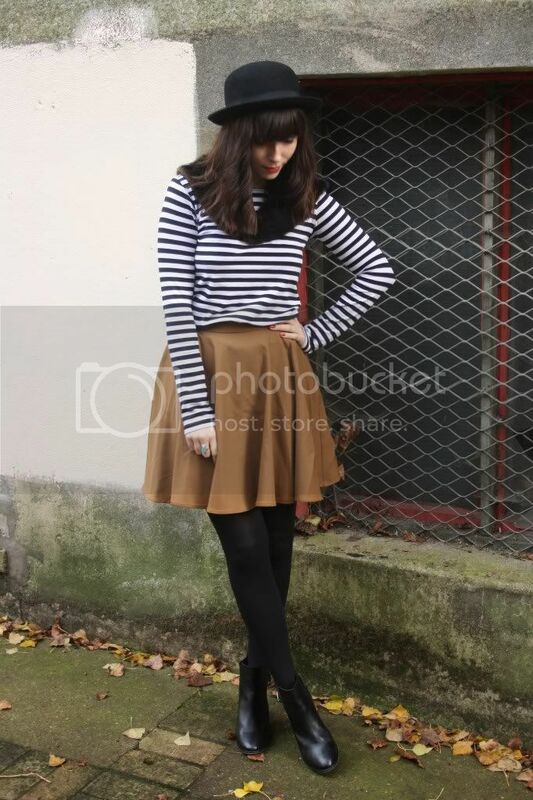 Beautiful outfit, love the stripes & skirt! You look fantastic. Such a beautiful colour skirt. I want every single item that you own! It's on my wishlist :0) I can't wait for christmas as well!! That's a really good idea to make your own christmas wrapping. I think I'll attempt to do that as well. so in love w your boots! The skirt is so lovely ! 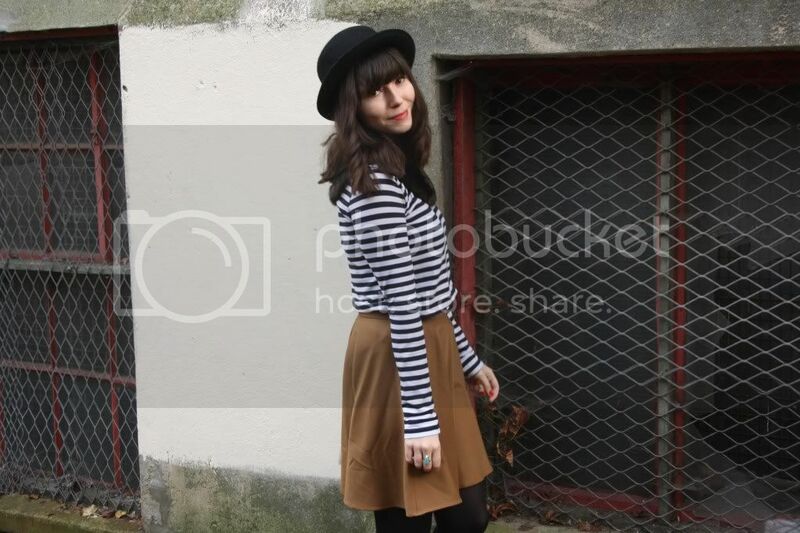 Such a cute Parisian feel to this outfit. I love the collar you added over the striped top. The shape of your skirt is great too and really flattering.